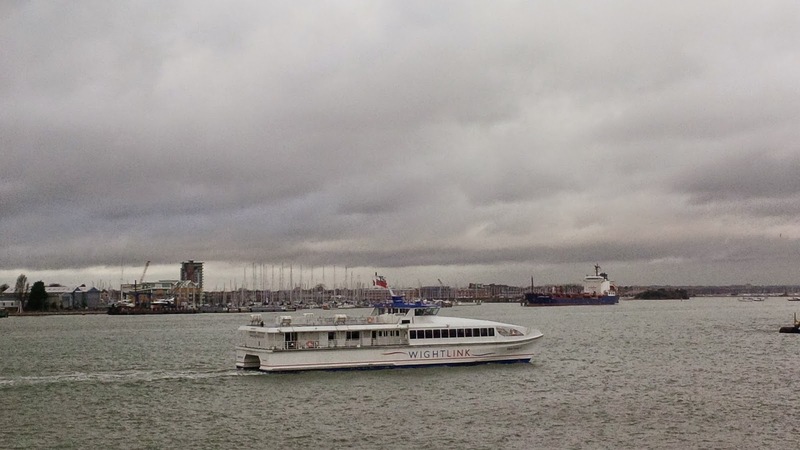 Just before Christmas we made a flash visit to the Isle of Wight. My husband’s grandfather lives there. Seeing that we are spending a festive week in St. Albans with my husband’s parents (today is our last day), it only made sense to pile in the car and drive down there for the day. The island is a magical place. 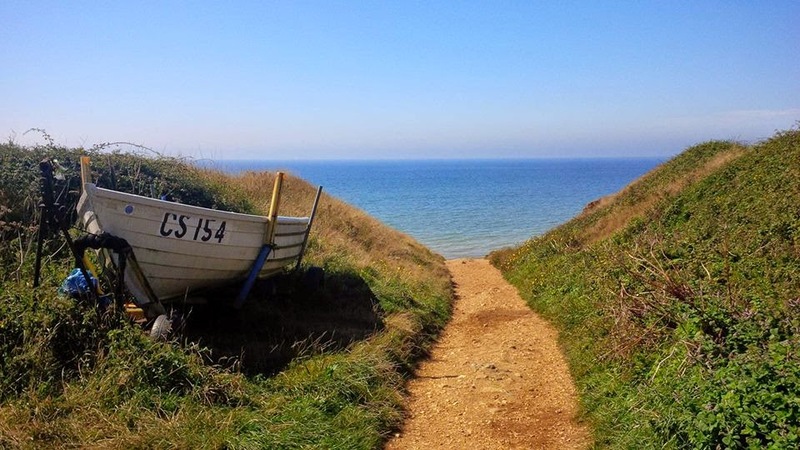 Imagine a little piece of land half an hour by ferry from the shores of England with lush landscapes, quaint villages and Jurassic past. The beautiful vistas steal your heart. The seasalty air fills your lungs. 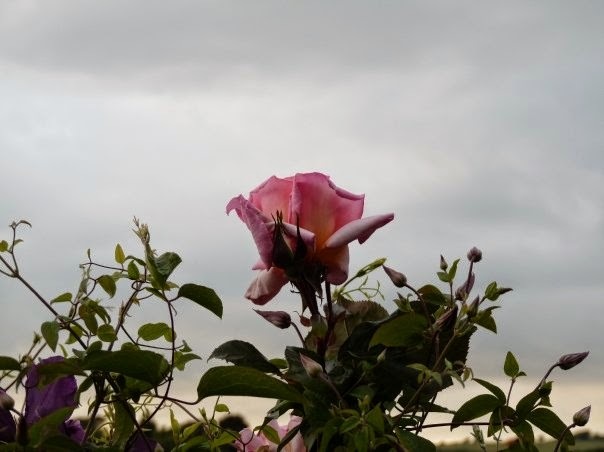 There is a sense of freedom that only being close to gorgeous, unspoilt nature can arouse. We go to the Isle of Wight as often as we can. So, let me take you on a little trip around the island and share with you memories from the past five and half years (which would explain the different aspect ratios of the photos in this post). 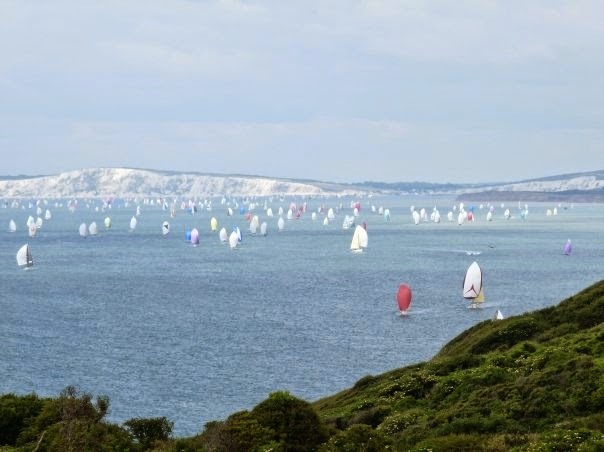 To get to the Isle of Wight you need to catch a ferry across the Solent – the strait that separates the island from mainland England. You can do it either from Portsmouth (which we prefer) or Southampton. Driving up the ramp and boarding the ferry is a moment that always fills me with excitement, as it feels like we are going on an adventure abroad. The crossing only lasts about half an hour or so. 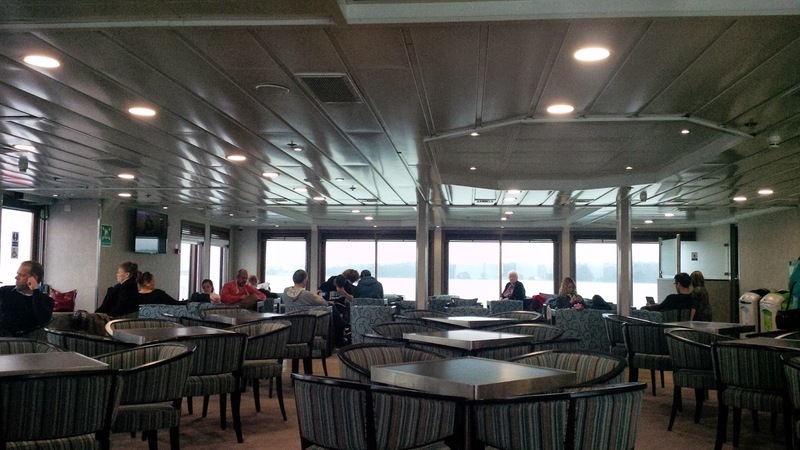 The ferries are big enough and with several decks, so that you can go exploring and admire the beautiful views or simply lounge around for thirty minutes with a coffee in hand. 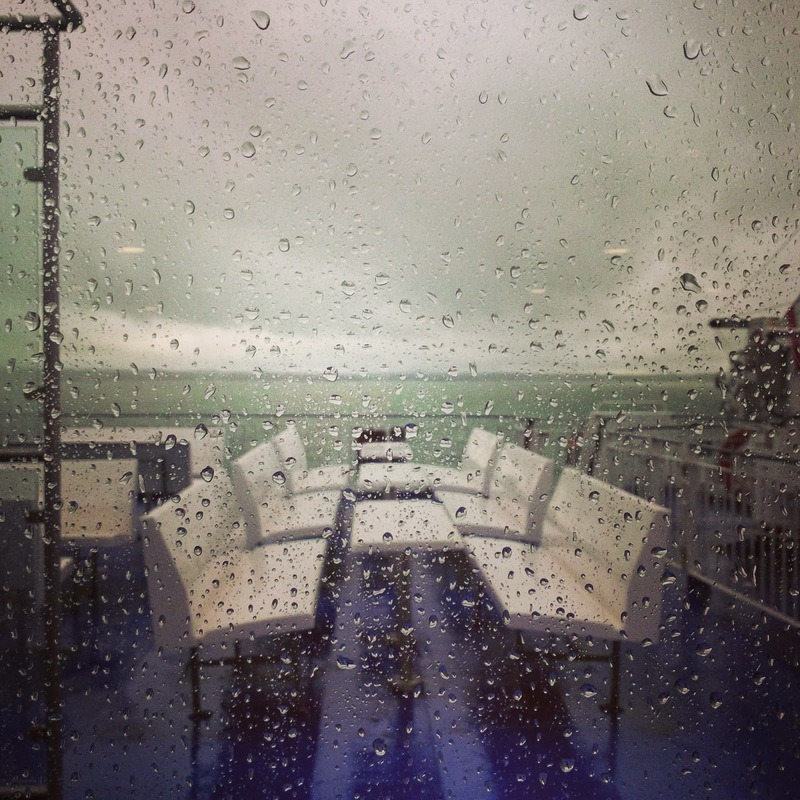 This time it was raining and the sea water appeared an unusual green colour matching nicely the blue outside deck. 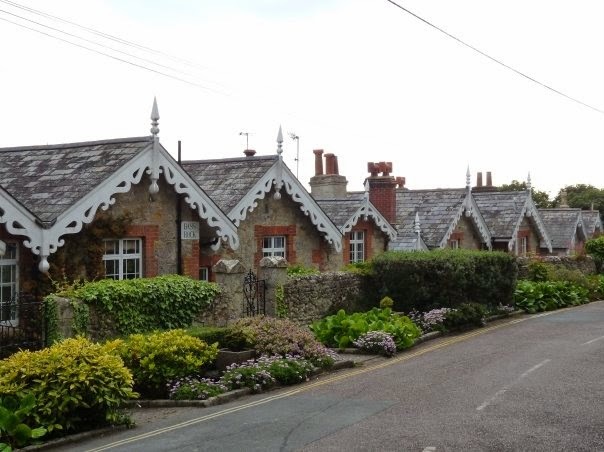 Once on the other side, we drive for about 40 minutes to our destination – the quiet and quaint village of Niton. Houses there are fabulously picturesque. 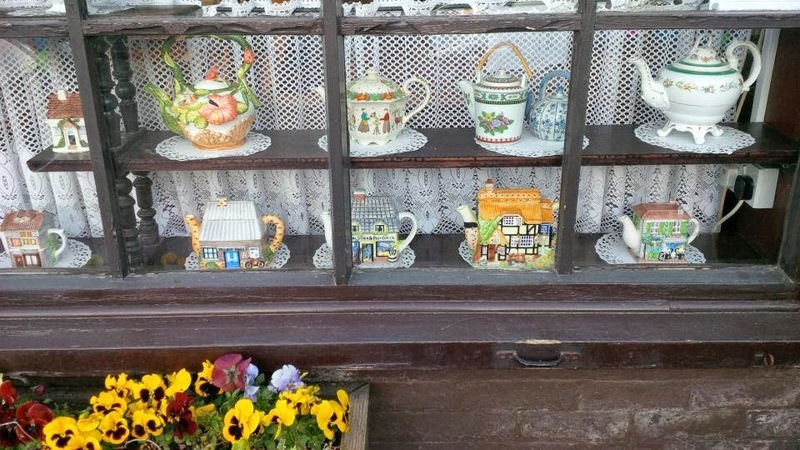 The local teahouse shares premises with the Post Office and it has the most amazing collection of ceramic teapots in its window display. 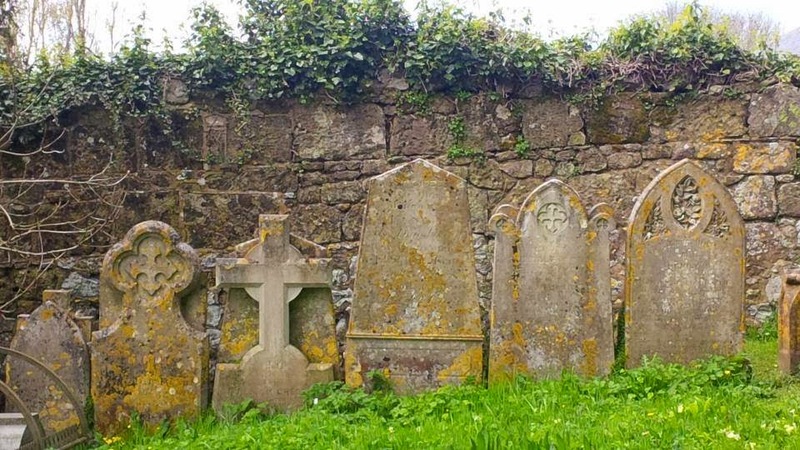 Further down is a church with an old graveyard. 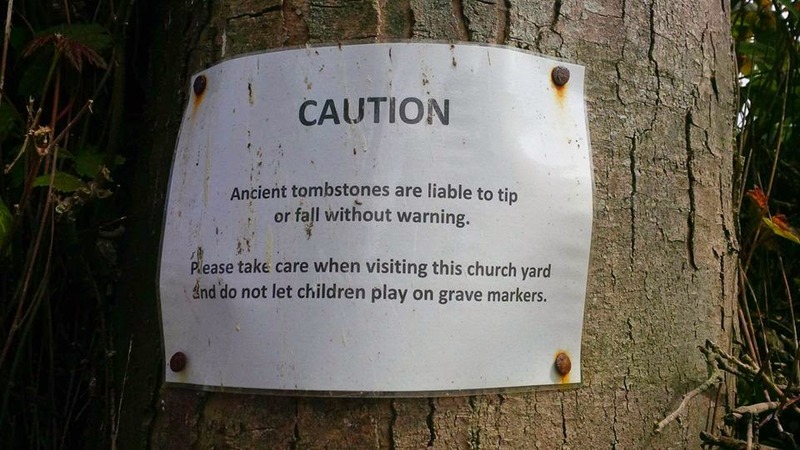 The tombstones are ancient and a note, attached to a nearby tree, explicitly advises of the danger of playing in their vicinity. My favourite notice in Niton though is this one. 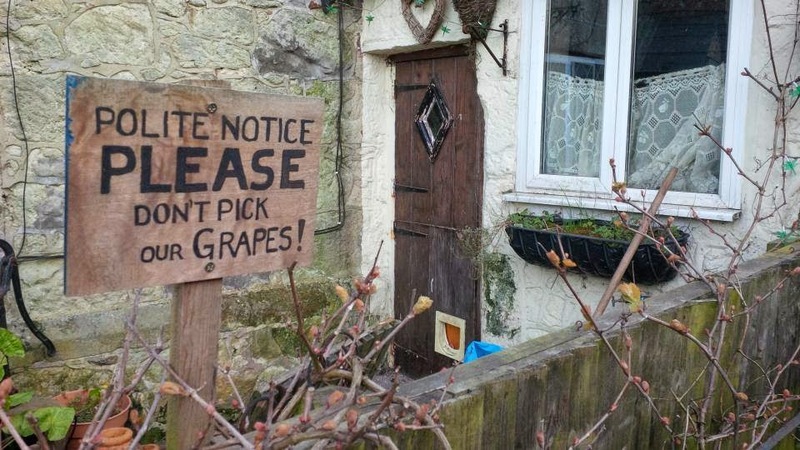 I imagine it must be really frustrating to have dozens of hands trying to pick your grapes, but this is what happens when your house is rather centrally located even in a small village. 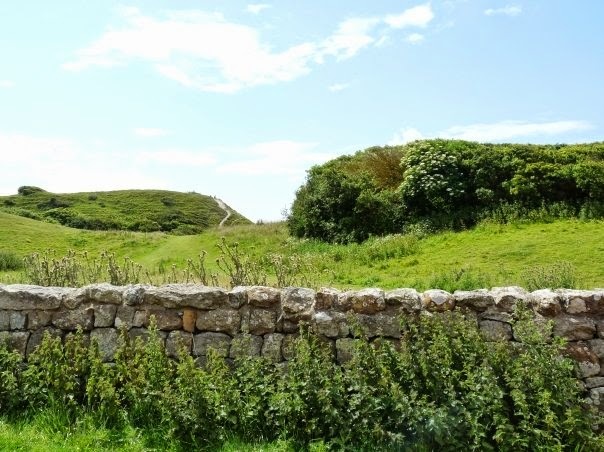 Let’s venture outside of Niton. The surrounding hills are abundantly green. Here and there you can see some really old stone walls, too. 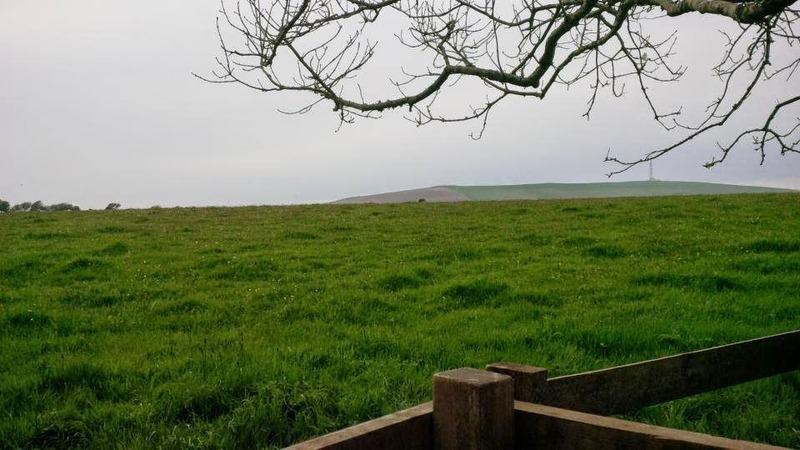 Lush pastures stretch almost all the way to the horizon. 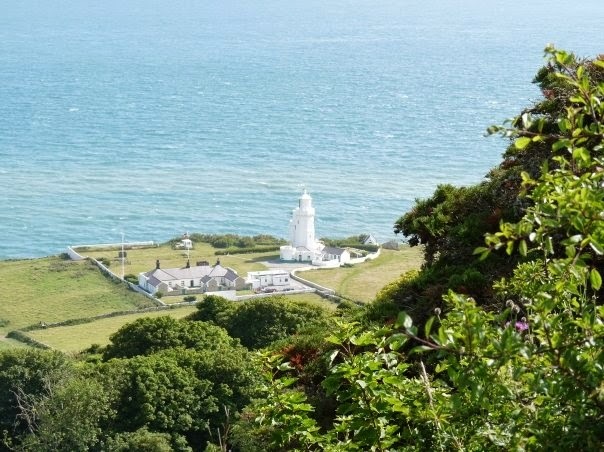 and you will have a chance to admire this beautiful view of St Catherine’s lighthouse. A long walk down the hills will take you to this secluded harbour, where you can simply sit, relax and be at peace. 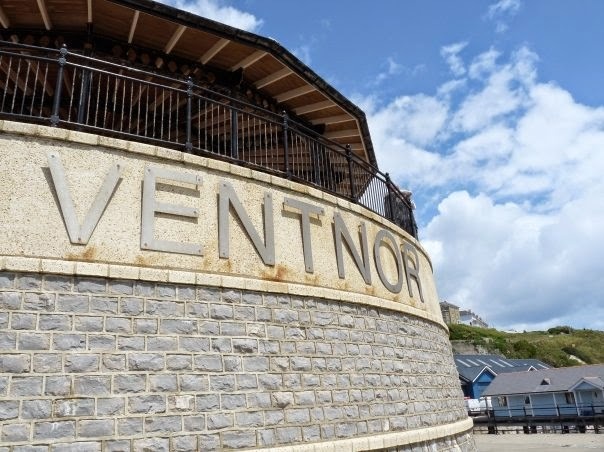 Ventnor – which name, according to my studies of linguistics, means ‘The Northern Wind’, but in fact the town is the southernmost point of the Isle of Wight. I love this steep park right by the public beach. 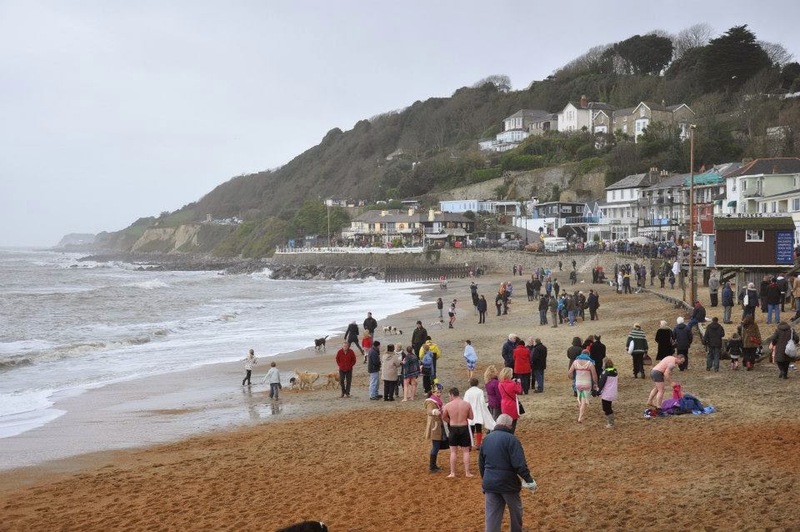 Every year on Boxing Day people in Ventnor go for a traditional cold sea swim. 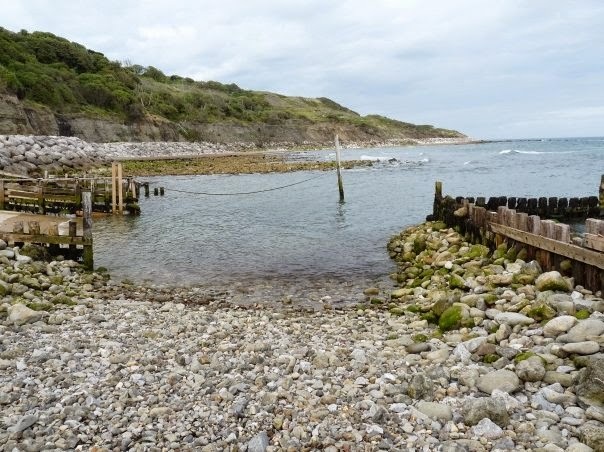 We spent Christmas 2012 in Niton and I was really looking forward to seeing the swim. Apparently it’s great fun with people dressed as Santa Claus taking a dip in the freezing waters of the sea. 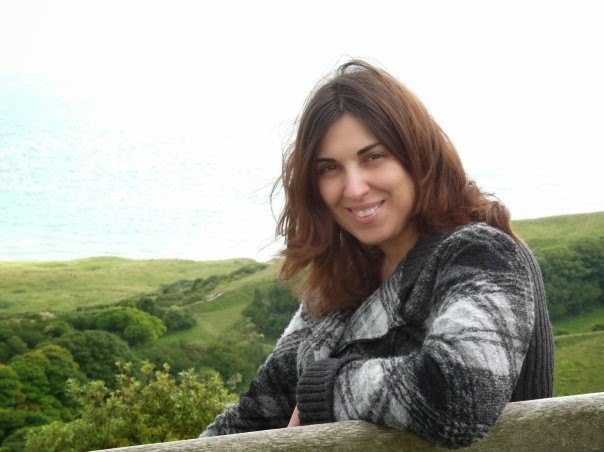 Unfortunately, first we couldn’t find a place to park, then, as I was pregnant at the time, I couldn’t walk too fast, so by the time we reached the seafront, it was all but finished. I can assure you though that it was very cold and as you can see, there were still wet people drying themselves up and getting dressed on the beach. 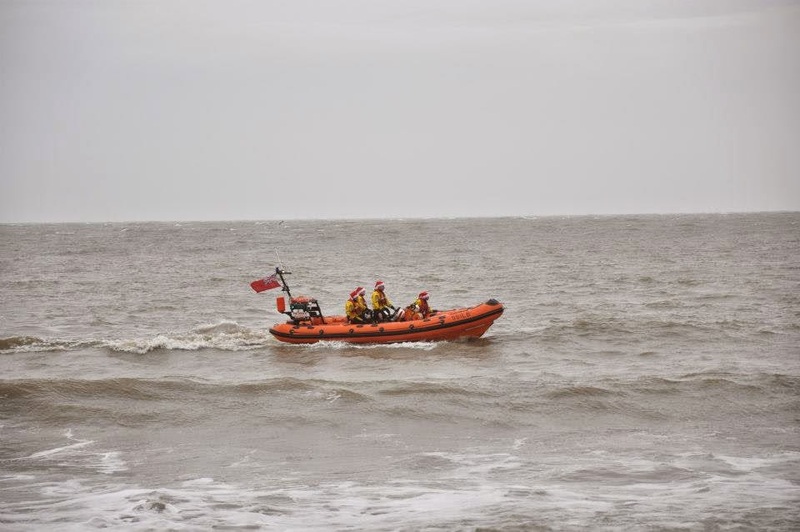 The Christmas spirits were high and the coastguards were all wearing red hats. On the way back to the car, I saw these great calendars, which would have made fabulous late Christmas gifts. To my disappointment, the shop was closed and I never came across them again. 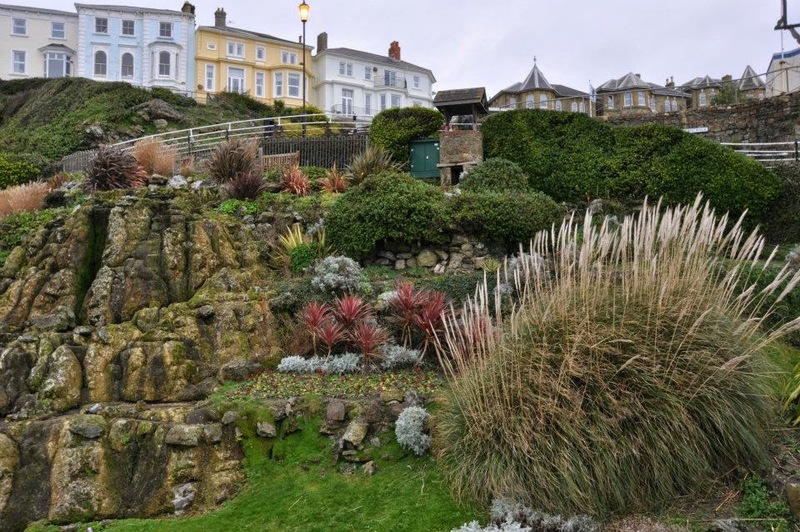 Just outside of Ventnor is the Botanical Garden. I loved it there! We visited it with our baby when she was two months old. The Tropical House was particularly amazing. It was unbelievably hot and humid and I kept having the sensation that something would leap out at me from the dense vegetation. 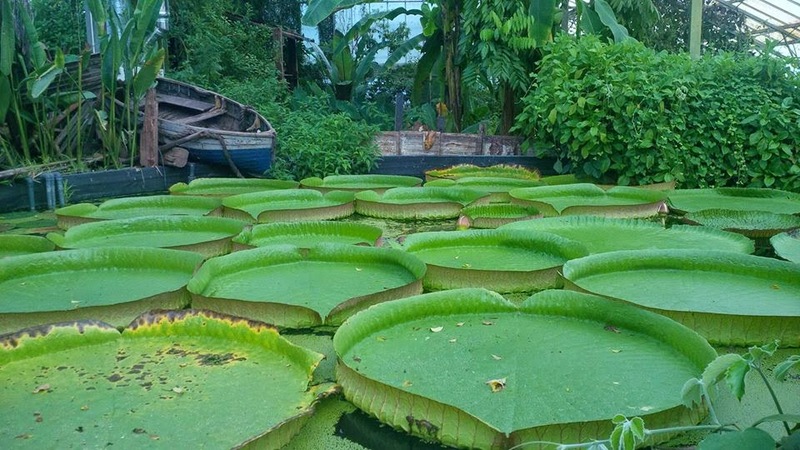 Of course, nothing leapt up, but seeing these enormous lily pads from Lake Titicaca really made me catch my breath. 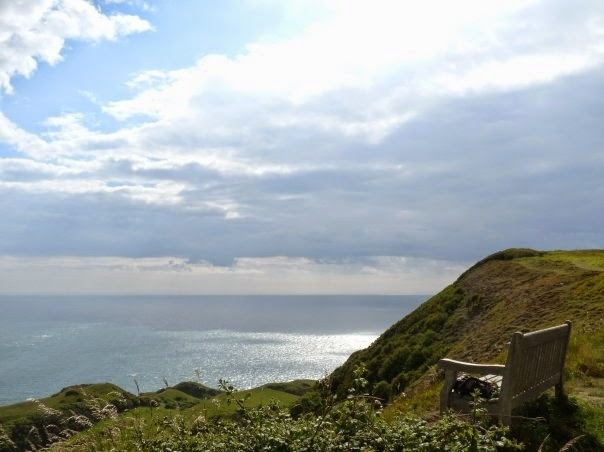 Well, the Isle of Wight really has this effect on me, making me catch my breath with stunning views and great events. 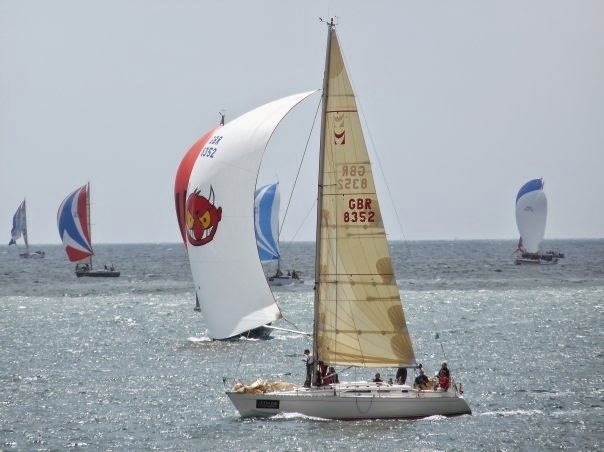 The first time that I went there in June 2009, it coincided with the annual Round the Island sailing race. Hundreds and hundreds of boats were competing with one another and we drove around the island trying to catch glimpses of them from different viewpoints. It was exciting and very windy, which would explain my hair in the picture below. 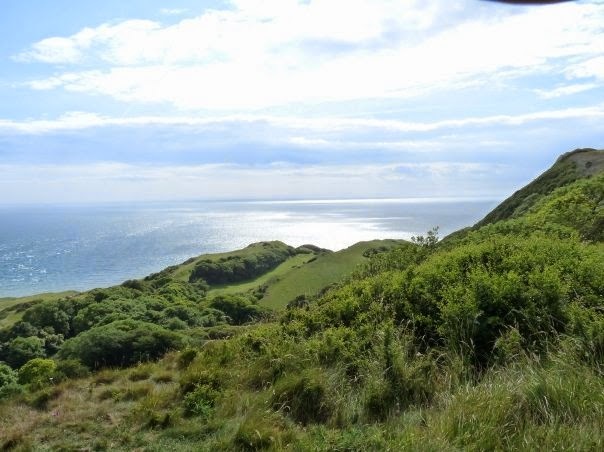 At the end, I would like to take you to Alum Bay. This is the westernmost point of the Isle of Wight. 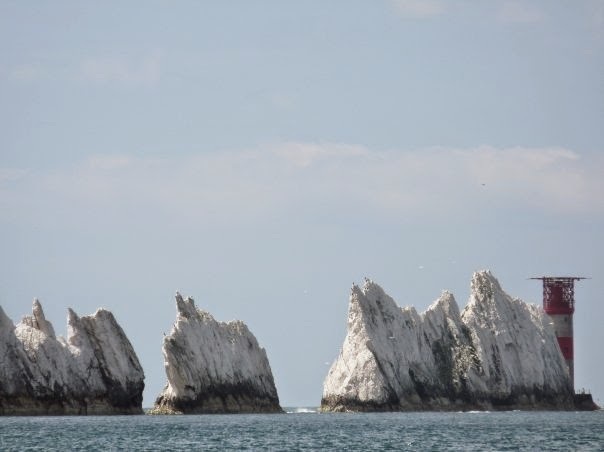 It’s famous with its multicoloured sand cliffs and it offers an amazing view towards the famous rock formation – The Needles. 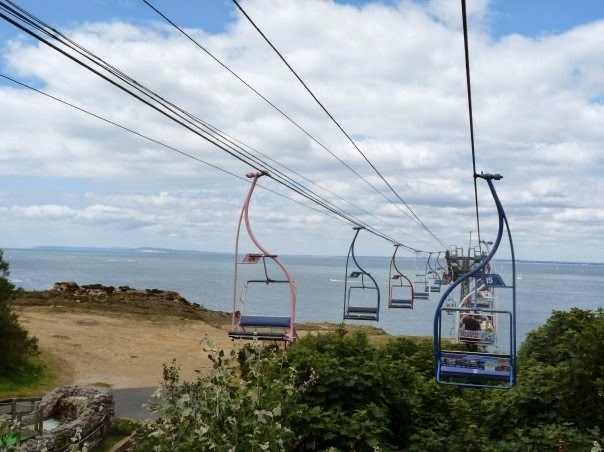 There is a chairlift that takes you down to the beach. 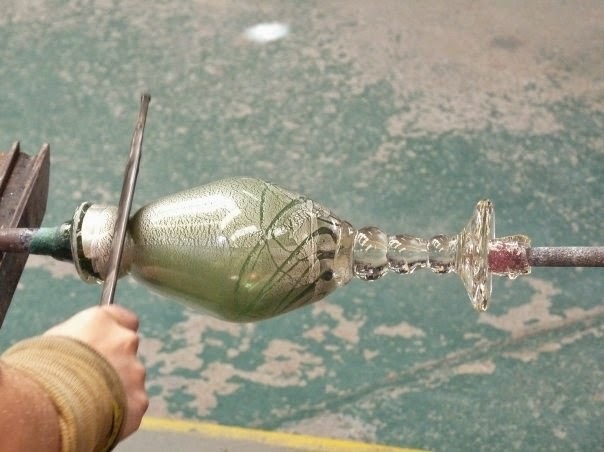 with this beautiful vase being made right in front of us. 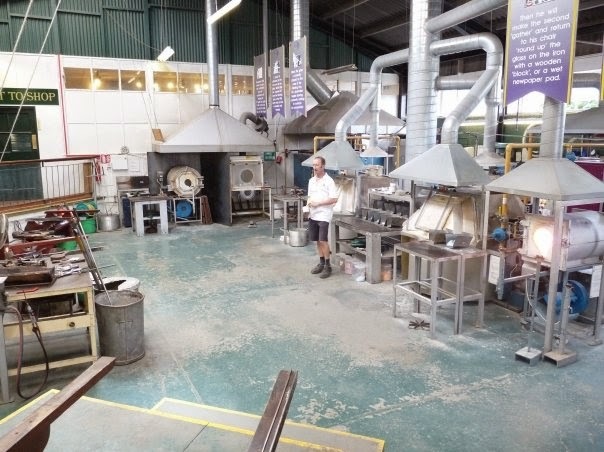 There is so much to see and do on the Isle of Wight. Thank you for seeing it through my eyes. If you can, definitely visit and discover it for yourself.